Not that any of my craft beer readers will give a damn, but the mainstream beer industry has been providing me with some fantastic entertainment lately. It's all part of some research I'm doing for a book...a book which currently has no publisher...I turned down the contract. That's another story for another day. If you know anything about how the macro beer industry operates, you know there's a lot of humor there. You essentially have a few major brands hawking beers that few consumers can tell apart in a taste test. Because the products are so similar, companies go after customers largely with images and price points. In his book, Silver Bullets: A Soldier's Story of How Coors Bombed in the Beer Wars, Robert Burgess unveils hilarious stories of how stupidity, greed and incompetence damaged the Coors brand during the 1980s. Burgess was a Coors market researcher at the time, with first-hand knowledge of botched product launches and stiffed marketing campaigns. Silver Bullets is worth a read. One of the things Burgess does is attach funny names to characters and entities. Big Wig, Captain Kangaroo, Cowboy, The Schlitz Mafia, The General, Rod Sterling and The Force (Coors' sales division) are substituted for actual people and groups. Good stuff. A little background. Some of you may be old enough to remember when Coors Banquet was a highly sought-after brand. 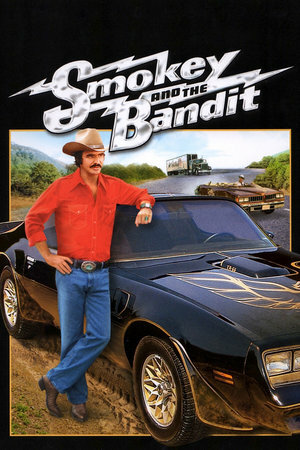 Ever seen Smokey and the Bandit? All about Coors. The Bandit and the Snowman were trying to smuggle a truckload of Coors across several states. See, you couldn't get Coors in many states back then...which promoted hoarding and smuggling. In those days, Coors invested heavily to make sure its beer was kept cold from the time it was brewed until it was consumed. The company insisted that distributors invest serious dollars in refrigerated trailers and coolers if they wanted to sell Coors. They didn't like it, but what could they do? Of course, no one kept track of how often Coors wound up in non-refrigerated storage rooms once it was delivered to retailers. But never mind. Coors got tremendous mileage out of the cold transport and storage con. "Coors is better because we keep it cold from the time its brewed until it gets to you." Sure thing. Fast forward to 1985. 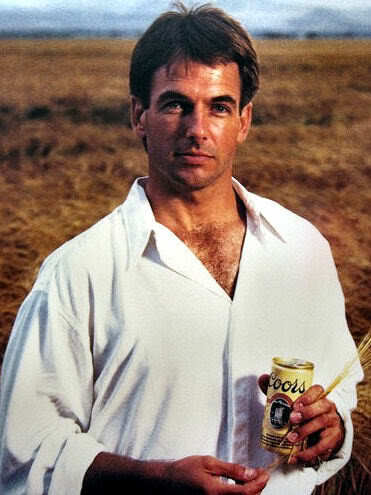 Coors sales were flat or declining when it signed former UCLA quarterback Mark Harmon as pitch man. Ruggedly good looking and just recognizable enough, Harmon appeared in natural settings dressed in casual apparel. It was all very plain spoken. "Coors is the one," he would finally say. The Harmon ads were a huge hit. Sales of Coors Banquet increased slightly. But Coors Light sales exploded, increasing by 30 percent in 1985 and by 18 percent in 1986. Women were particularly enamored with the ads...People magazine named Harmon Sexiest Man Alive in 1986. The ads seemed to wash away a boatload of negative PR that had dogged the company for years. Coors had hit a home run. It all unraveled shortly, when Harmon appeared in an ad showing cases of Coors on an unrefrigerated store shelf. A wildfire erupted. Consumers wondered if the "cold storage" claim had been a con all along. Distributors demanded to know why they had spent so lavishly on refrigerated coolers and trailers. Many wondered how Coors could have been so negligent. Needless to say, the momentum of the Harmon campaign was lost. Sales declined. This foreshadowed more bad news for Coors, which resorted to heavy discounting to complete with better-funded Anheuser-Busch and Miller. Coors had snatched defeat from the jaws of victory. This kind of screw-up is common in the macro industry, which spends millions every year to build brand recognition and loyalty, often unsuccessfully. When your business is based on imagery and dubious claims, as opposed to a product people can relate to based on taste and quality, it's a slippery slope. I recall another dark episode from Coors and the 80s. One of the Coors family began funding far-right political causes. I don't recall the details, but it involved company or Coors family bigotry against non-whites and gays (they also had labor strife). It was bad enough to precipitate boycotts at just about the moment I started drinking beer. Of course, bigotry is an idiotic business move: you don't want to alienate your customers. They ultimately got their act together, but that stain remains present in my memory. I'll never fully forgive them for that. I always thought Smokey and the Bandit was about Jackie Gleason playing Whac-A-Mole with his son's head. Well done piece about Coors, a low point in brewing or whatever it is they do do. Your memory is sharp. The Coors family was anti-gay, anti-union, anti-women's rights and they openly financed right wing causes...including the Contras in Nicaragua. When they had a sales meeting in San Francisco, Coors employees were advised to shut up about who they worked for to avoid altercations. Why would you have a meeting in SF under those circumstances? Morons. Silver Bullets includes many examples of horrible business management and missed opportunities. Colorado Chiller was a botched attempt to tap the wine cooler craze of the 80s. Herman Joseph's was a mangled effort to enter the super premium category. Coors didn't have a clue. This book is a great read...took me about a day. Thanks for the read recommendation. I've heard about Coors being associated with racism, but never knew the facts. I’ll be picking up Silver Bullets. I guess now I’ll have to pretend the Snowman has Pliny in his trailer…still love The Bandit. Another good read is Beer Blast, by Philip Van Munching. The Van Munching family was the US importer of Heineken for many years and Philip eventually spent a decade in the business. In the book, he outlines the failings of macro marketing, with special attention to negligence and stupidity associated with Heineken. Very entertaining. Hard to put down.